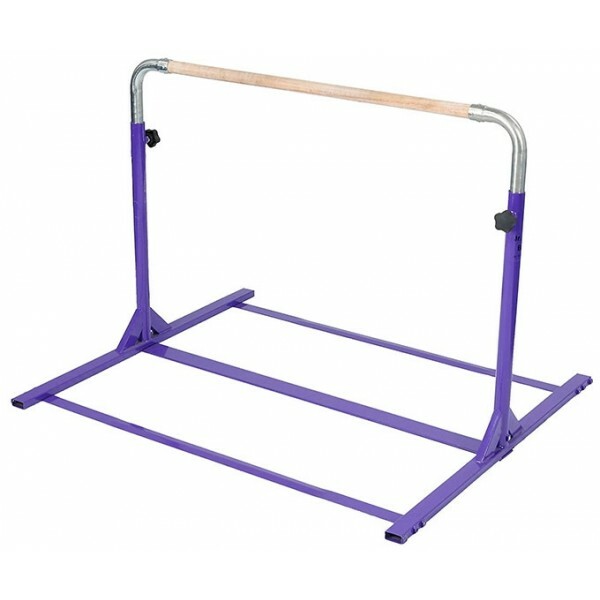 Budding gymnasts can practice their kips and back hip circles with this handy kip bar! 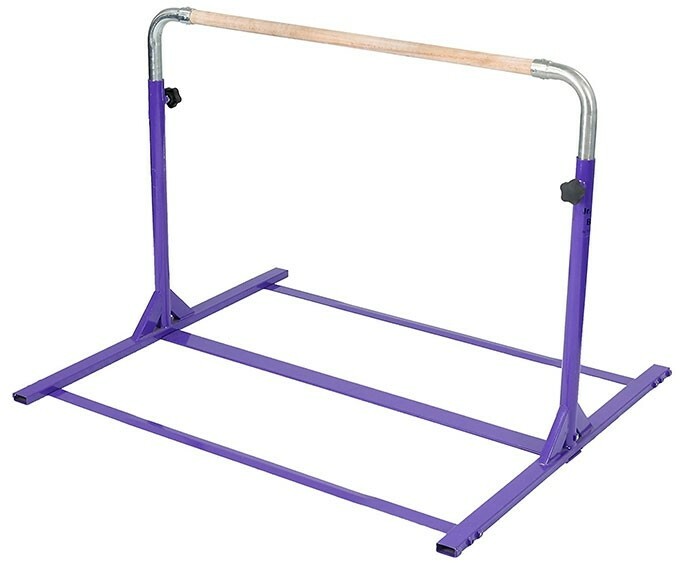 The new and improved design of Tumbl Trak's Jr. Kip Bar features a 1-1/2" diameter solid maple bar and two additional cross supports, offering much more stability for higher level skills and older gymnasts. The bar adjusts from 38" high to an unequaled 59" high and the base can be further stabilized with a 4' x 8' piece of plywood for more advanced skills. The 48" space between the base allows for a standard 4' wide mat to be used underneath. 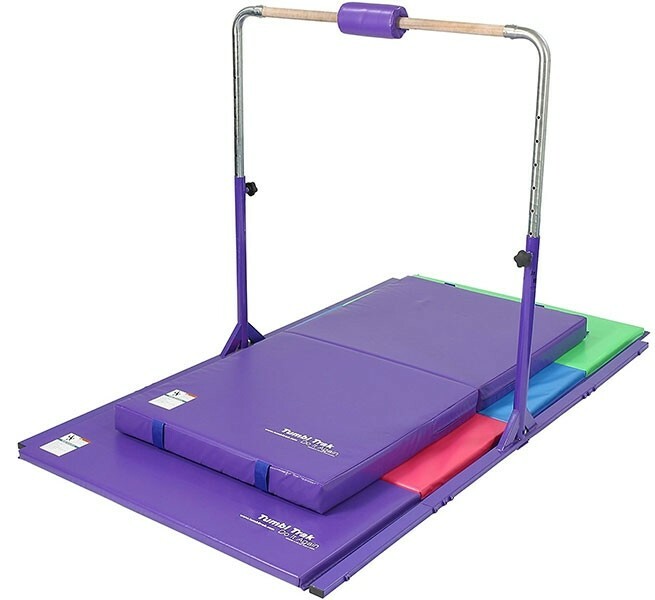 Please note: this is real gymnastics equipment that should be used with adult supervision.